A native of Erwinna, Pennsylvania, Zaveta had applied for the Amy D. Foundation’s first racing scholarship. If chosen, she would compete in elite American UCI cyclocross races under the wing of the successful Raleigh-Clement cyclocross team during the 2014/15 season. Dombroski established the Amy D. Foundation days after his sister Amy passed away at age 26. She was hit by a truck in October, 2013 while training on a bike in Belgium. 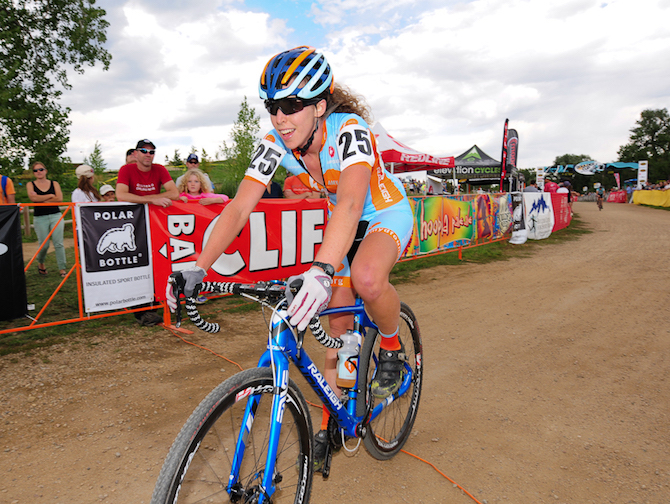 An upbeat and popular professional athlete, Amy raced cyclocross and mountain bikes. To celebrate Amy’s passion for cycling, the foundation decided to help promising young female riders progress to the top of cycling competition. Raleigh-Clement team manager Donn Kellogg had worked with Amy. He offered assistance and the Amy D. Racing scholarship program came together. Caroline Mani, a seasoned ‘cross rider on the Raleigh-Clement team, would mentor the scholarship recipient. Zaveta was selected from about 34 applicants based on her racing potential and ability to represent Amy’s spirit and the foundation. 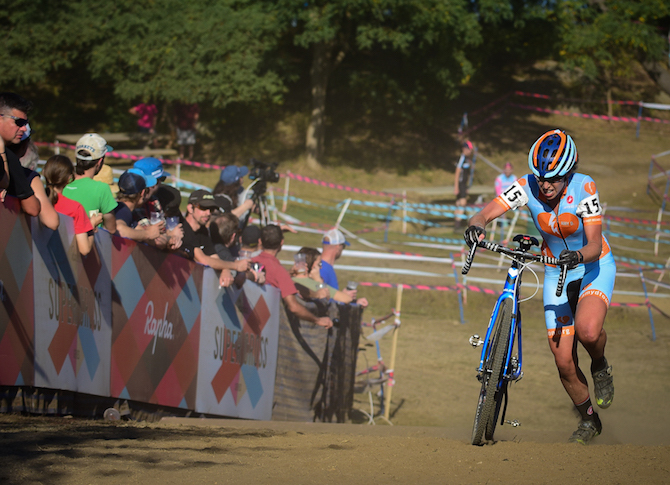 Wearing a blue and orange Amy D. Racing skinsuit in her first race of the season at CrossVegas, the biggest U.S. ‘cross race, she finished an extraordinary ninth against the strongest women in the country. Now 25, Zaveta began her competitive career at age 15 with road racing. 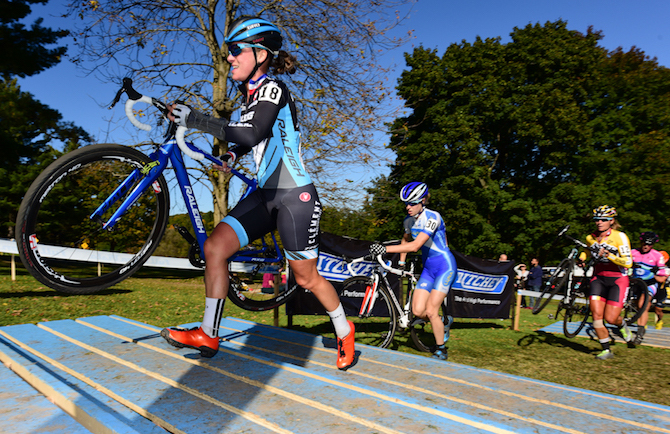 She tried cyclocross for fun before she turned 18 and won a junior state championship. At Lees-McRae College in North Carolina, and later at Brevard College, she blossomed in collegiate cycling. Erica rides during the Boulder Cup in Boulder, CO. While at Lees-McRae in 2011, Zaveta’s teammates Carla Swart and Megan Baab were hit by vehicles in separate accidents while training. The loss of her friends brought home the experience of suddenly losing someone so young. “I guess one of the biggest connections I feel with the Dombroski family is that feeling and how long [grieving] takes,” she said. Zaveta met Amy in Europe during mountain bike World Cup racing in 2012. Still green to international racing and living in a foreign country, Zaveta was struggling. Amy provided the medicine she needed: a friendly face, and an offer to help with questions and team opportunities. Racing alongside Raleigh-Clement, Zaveta has hit personal best after personal best. First came a top five result in mid-October. 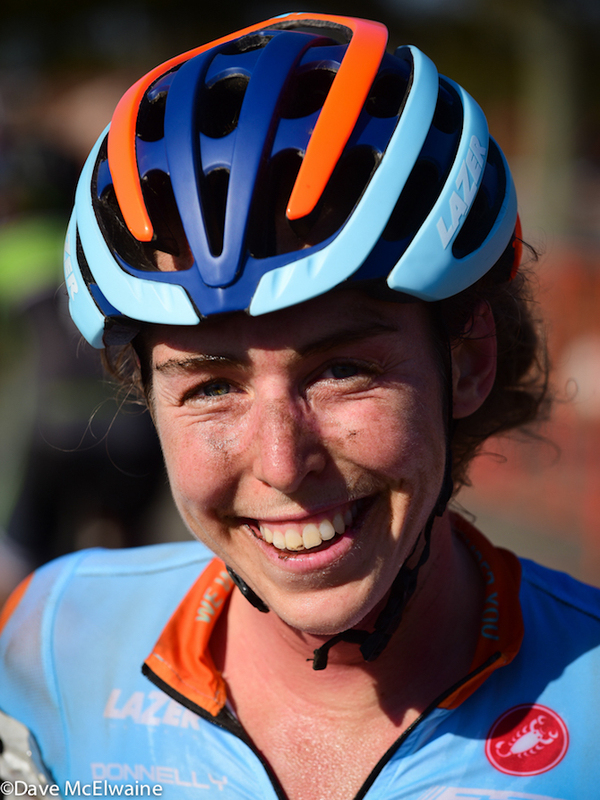 Two weeks later she won her first UCI race at Gateway Cross Cup in St. Louis, Missouri. Now at the beginning of November, Zaveta feels she’s already changed, though still has a lot to learn. “When I won collegiate mountain bike nationals for division one, that was really cool,” Zaveta said. “It meant a lot to me, but right now I just feel like a totally different athlete. And it doesn’t feel temporary…I definitely would say it’s my best season racing bikes so far.